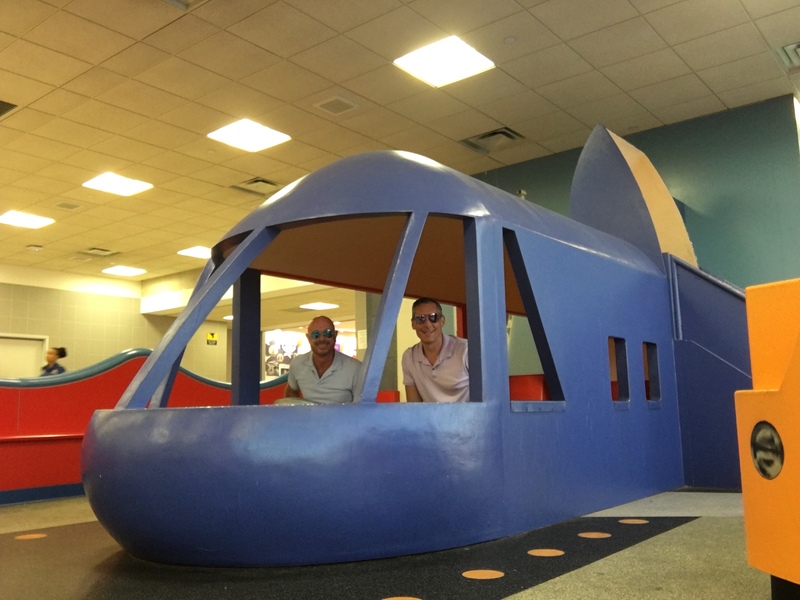 Earlier this month Sergio and I visited Portugal for the first (but not our last) time. 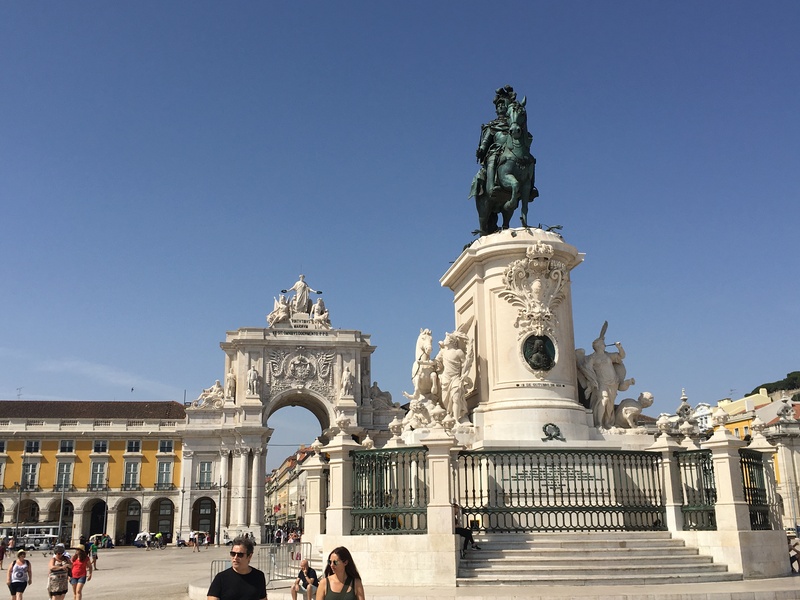 The combination of a strong US dollar and the relative affordability of Portugal meant that we were able to enjoy the vacation for much less than travel to other parts of Europe. However, it wasn’t the fact that the country was so affordable that made the both of us fall in love with the country. We found the Portuguese to be extremely friendly, the food & wine delicious and the sites breathtakingly romantic. On our whirlwind trip we flew into Lisbon then connected on a flight to Porto in the north of Portugal. After spending a few days there we took the train to Lisbon where we explored Portugal’s capital and took day trips to Sintra and Cascais. Below are a few photos from our trip. Sergio is relaxing in an over sized bathtub at an outdoor bar called Base which was where we spent a bit of time each day enjoying the wine and views of the city. 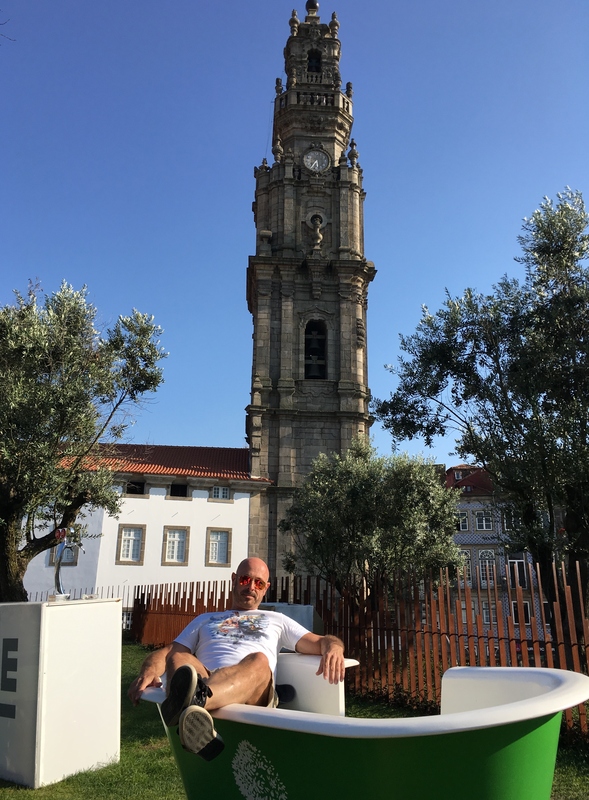 In the background is the tower for La iglesia de los Clérigos a Baroque style church and tower from which point you can see all of Porto. 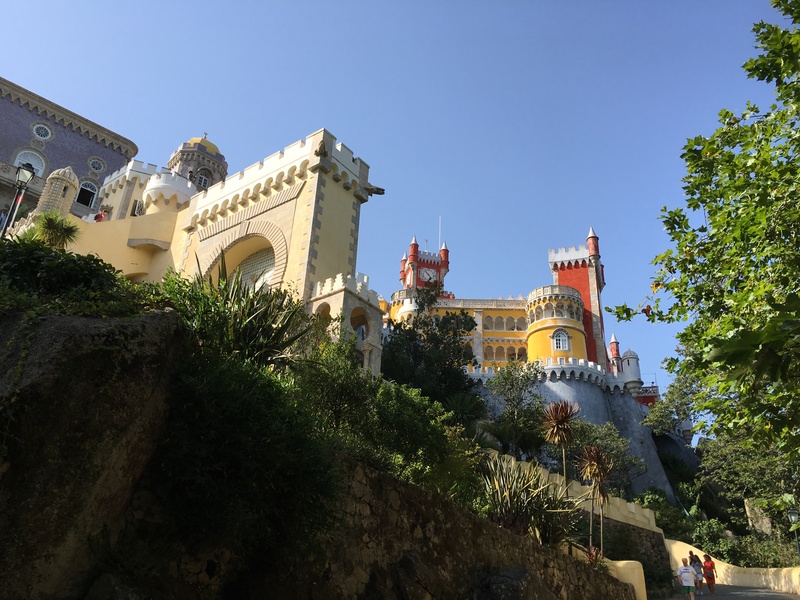 An easy day trip from Lisbon is Sintra, a town that is best known for its 19th century romantic architectural monuments like the Pena Palace which resides atop a very steep hill and is a leg work out but worth every step. 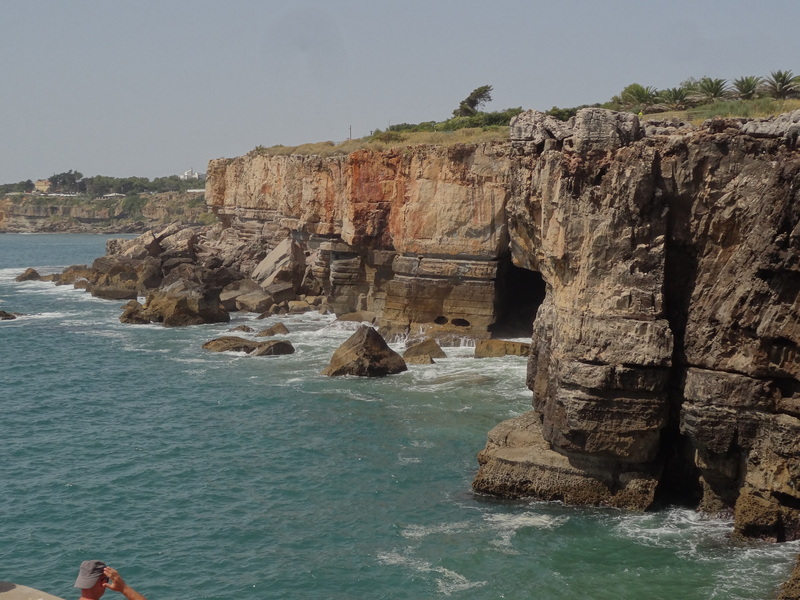 Also an easy day trip from Lisbon is the affluent beach town Cascais. The town is known for its beaches, shopping and restaurants but we liked the dramatic coastline that became apparent if you took a short walk outside of the downtown area like this photo of Boca do Inferno (Hell’s Mouth). The time we spent in Lisbon passed too quickly. The capital city is both gritty and graceful with monuments and squares that remind travelers of the country’s proud past. The seven hills Lisbon was built upon are filled with ancient streets, breathtaking vistas and a vibe that is uniquely Lisbon and proudly Portuguese. It looks gorgeous. This looks like an affordable alternative to Spain.